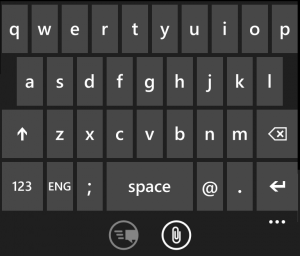 If you have a Windows Phone you will have seen that there are certain keyboard options that are predefined when you buy a new device. However, maybe these options aren’t the most useful ones in our particular case, and it is good to know how we can adjust them. 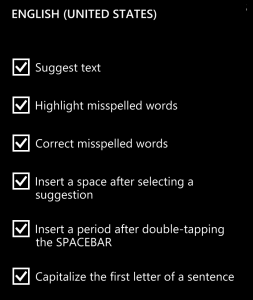 Windows Phone allows you to change the keyboard language and set other text input preferences, such as self-correction when writing, or the option to include multiple language keyboards. If we adjust all the options, the result will be a much more efficient writing. To change or add languages to the keyboard, you have to go to the “Keyboard” that you will find under “Settings”. Once inside the keyboard options, we can easily add and configure language keyboards. To add one, we only have to click on the “Add Input” and select the language you want. Once we have found on the list of the language we want, we can change our settings by clicking on the language that we just added. Within each one, we can adjust the settings for automatic correction and other typing options. You can add words to the dictionary if you see some that are not used often. These words will accumulate and the auto-correction will adapt gradually to your vocabulary. 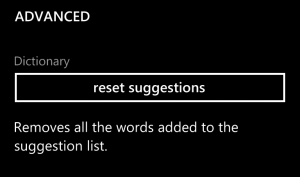 If you ever want to remove all words entered, we can do that from the advanced keyboard options, where you can reset the suggestions and delete all the words we’ve added. It is very easy to change keyboard typing. We just have to click on the language button next to e spacebar. 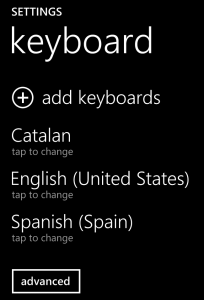 When you change keyboard, the preferences also changes too, and we see the ones we have preset for each language. We can have, for example, activated the Auto correct when we write in English and disabled when using the keyboard in Spanish.